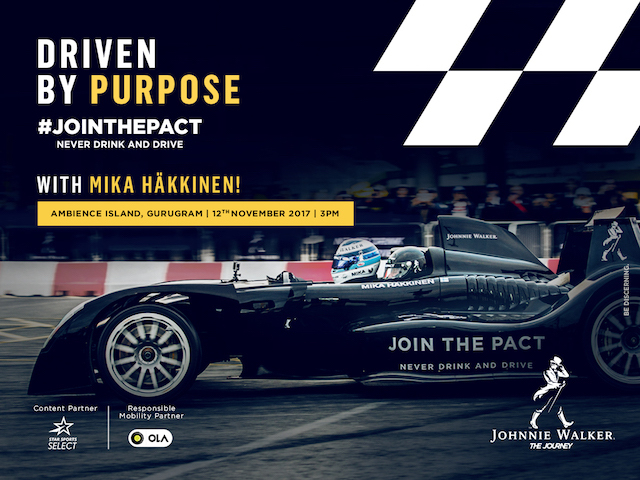 We have partnered with Johnnie Walker’s ‘never drink and drive’ pledge and we will #JoinThePact with Mika Hakkinen when he visits India next week. We will have Hakkinen on our blog, podcast and the video show, so remember to tune in all of next week for some exclusive coverage on the former double Formula 1 World Champions first-ever visit to India. By the way, I also urge you to #JoinThePact. C’mon, now walk that talk with us. Do you have a question for Mika Hakkinen? Feel free to connect with me and share your questions. THE INSIDE LINE F1 PODCAST IS HOSTED BY MITHILA MEHTA AND KUNAL SHAH. THIS FORMULA ONE PODCAST OFFERS A HUMOUROUS VIEW ON THE SPORT. Daniil Kvyat, he’s gone. Or has he? The former Red Bull Racing junior driver’s career has ended in a nightmare. We all know how his Formula 1 dream peaked, nosedived and how unceremonious his exit has been. However, given the equation between Kvyat’s loss and Max Verstappen’s race wins, if Kvyat doesn’t feature next season altogether, could that be the luck that Verstappen would need win the 2018 Formula1 Drivers’ Championship? Let’s wait and watch! The 2017 Mexican Grand Prix showed us only for a few corners how close racing can be when we have a Verstappen vs. Hamilton vs. Vettel, let’s hope we have more of their battles in 2018. Daniil Kvyat To Do A Nico Hulkenberg? But all may not be lost for Kvyat. There’s hope in a Williams seat for 2018, and then there’s even a possibility that he might do a Nico Hulkenberg at Force India. Basically, he could join them as reserve driver for 2018 and then be promoted to a race seat in 2019. Force India loves to have their drivers compete and it is a public fact that Sergio Perez is eager to find a seat elsewhere, but for the lack of competitive options. Should Perez decide to go, or should Mercedes replace Bottas with Esteban Ocon, there’s a potential vacancy that Kvyat could fill in the team in 2019. Force India could prefer Kvyat for three reasons. First, he’s a talented driver, but low on confidence. A move to a challenger team like Force India might just fire him up. Second, he’s Russian and Force India’s sponsorship team would be happy to explore sponsors from Russia (they already have a junior driver who is Russian). Yes, but would they have enough space on the car if their pairing in 2019 could be Perez-Kvyat? Third, India loves Russian collaborations. Even more so if they’re torpedos! Felipe Massa has hailed Lewis Hamilton the best driver of this era. Fernando Alonso, Hamilton’s former team-mate and bitterly arch rival, hailed Hamilton’s win in 2017 as the easiest of his career. A dig at Vettel and Ferrari, maybe? Hamilton in return has said that he will have to up his game to beat Verstappen in 2018. Are we seeing mind games for 2018 already? It’s a shame that we’ll have a long off-season in a few week’s time. Maybe Liberty Media should work on a longer calendar!